Get This Out of my Hair! Expensive Products: Are They Worth It? Believe it or not, some people have difficulty articulating their real desires to their stylists. Whether it's because they're stuck in a rut with the same old style, too shy to discuss venturing to other styles, not sure of what they really want, or afraid of awkward confrontations with their stylist, everyone seems to have a reason for giving in to the pressures of what the stylist says is best. The most important thing to remember is that this is a professional relationship, and you are acting as the employer! If you can't get what you want from your stylist, who can you count on? Ultimately, you're the one who has to sport the style once you've left the salon, so you need to speak up! If you're not sure of what you want, but you know you want a change, peruse the internet and some magazines for pictures of what you like. Your stylist will be more open to your ideas and have more direction if you have a picture. If it's a celebrity you're trying to emulate, cite the person. Your stylist will be able to tell if your facial structure or type of hair won't work, and may be able to offer some suggestions as to how to alter the style to better fit your needs. If you're worried that your stylist will discredit your ideas, don't be! 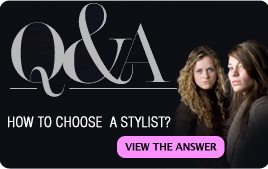 Most stylist are eager to venture out and try new things on each of their clients. If your stylist hesistates when you're presenting your new radical idea, they may have your best interest in mind. It's worth hearing them out, and hearing their concerns. But in the end, if you're still convinced you want the style you initially presented with, it's your hair and you have the final say. Ultimately, some of us are not assertive enough when it comes to taking charge of our own lives... and our own hairstyles. You have the right to dictate the style you want. Take charge, take command, and take this decision into your own hands! 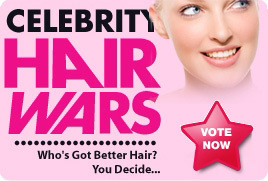 Click here to view All Polls!